We are a casual group of players who usually play Weekday Evenings and Weekends UTC. Our average age is 42. Headsets/ Mics are strongly preferred. If that sounds like you, join us! Well, hello there fellow Guardian... I see you’ve stumbled across the '582 that once reached beyond the stars but these days has to settle for planet Earth. We have outposts all over the EDZ, old North America and even Down Under. 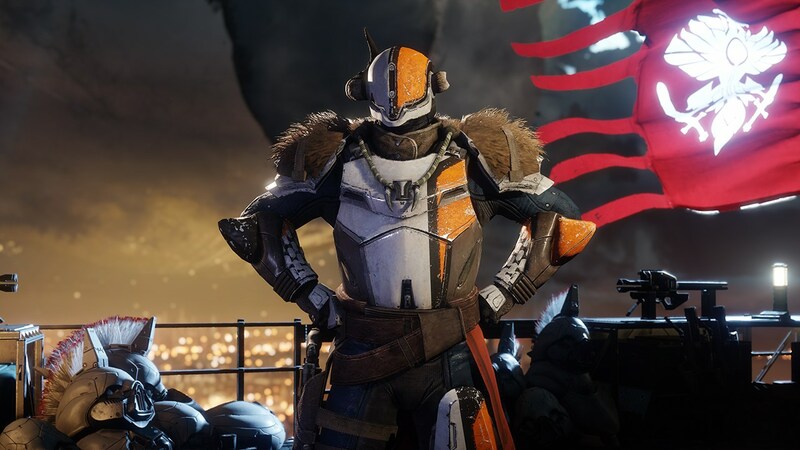 So you’ll never be short of someone to game with whether that'll be Raiding, Strikes, Story Missions, Crucible or just chilling and busting some 'rhythmic moves' in the Tower. We play the game for fun but will always enjoy getting the job done in the best of ways - cracking jokes and being part of a team, but also being focused when required and enjoying the experience. Being part of Delta 582 in the world of Destiny means you will represent the best of what we stand for, and you'll find more about that in the Delta 582 Clan Info tab. For now, sign up to our 100 Group, and start joining games and posting. Welcome to Delta Company 582! We play the game for fun but will always enjoy getting the job done in the best of ways - being focused, cracking jokes, and being part of a team - and most importantly of all, enjoying the experience. Being part of Delta 582 in the world of Destiny means you will represent the best of what we stand for. And by that we don't mean setting world records for the fastest solo Whisper of the Worm run on Heroic. In order to maintain this, there is some advice to share and some recommended conduct to abide by. It's a lot of fun to be an active member of the clan. We don't expect this to mean racking up 10 hours per day and sweating about it but being a good member of Delta 582 means hopefully playing Destiny with your fellow clan members on a regular basis and signing up for sessions in the100 group. We realise solo activity contributes a lot the Clan progression and rewards. But we also encourage group activity and will always welcome newcomers. That said, anyone who has stopped playing or taking part in clan activities for a period of 6 months, i.e. two release cycles might be removed from the clan. We manage this by checking the100.io and the Destiny API so the decision making is objective. Please note, being removed from the clan does not mean you're banned and as soon as you start playing Destiny again you'll be welcome back into our clan if and when there's room. Now the fun bit. If you haven't done already join our 100 group and start joining or posting games. For ease of communication and for us to get to know each other better also join our Discord Channel for ad hoc in game get togethers, chat, banter and all things Destiny 2. If you can pitch in with the fun, crack a good joke when the time comes, all while getting the job done, then, when and if you're still enjoying playing with us after a month we'll bump you into our clan when there's space. Use Charlemagne for this complete listing or type !rank pvetime in our 'charlemange-stats' Discord Channel. All lists are based on PS4 stats only. Use Charlemagne for this complete listing or type !rank hpe in our 'charlemange-stats' Discord Channel. Use Charlemagne for this complete listing or type !rank strikes in our 'charlemange-stats' Discord Channel. Use Charlemagne for this complete listing or type !rank fasteststrike in our 'charlemange-stats' Discord Channel. Use Charlemagne for this complete listing or type !rank nfscore in our 'charlemange-stats' Discord Channel. Use Charlemagne for this complete listing or type !rank fastestpnf in our 'charlemange-stats' Discord Channel. Use Charlemagne for this complete listing or type !rank raids in our 'charlemange-stats' Discord Channel. Use Charlemagne for this complete listing or type !rank raidspm in our 'charlemange-stats' Discord Channel. Use Charlemagne for this complete listing or type !rank competitiveeff in our 'charlemange-stats' Discord Channel. Use Charlemagne for this complete listing or type !rank quickplayeff in our 'charlemange-stats' Discord Channel. From the Vault of Glass onward is probably what shaped the longest participating 582 members' fondest memories. Aetheon melted, Crota fell, Oryx flew off into Saturn's atmosphere on countless occasions and Aksis couldn't teleport fast enough. The Leviathan has proven to be no more than a toy boat in a bath. Ahem. The Sessions invite newcomers and veterans alike and even if time runs short, checkpoints are supported as much as possible. Our vets and sherpas are patient, and won't just parrot a script, but will encourage your own style and engagement in tandem with the mechanic. The one thing about Destiny raids is that they have progressed with more emphasis on communication so, speak up, have fun and reserve the right to get it wrong! If you're looking for a clan that will take you to the Lighthouse umpteen times, then... look elsewhere! Seriously, we 'enjoy' our PVP and will often group up for fun 6x Hard Light runs (disco lights) and other fun loudouts that leaves us hate mail that would make a sailor blush, and other general weekly Crucible bounties. PvP as the end game can be an unforgiving, salty place and for some, an entirely unnecessary diversion. Don't worry, most of us just check the box too, but what we also bring is a decent knowledge of loadouts and subclasses so that at least if you play your style than at least you can navigate the try-hards and baggers with some civility! So whether is Iron Banner weeks, Trials for the masochistic, to the constant re-playing of Quickplay and Competitive, we try to have fun amongst the swearing and salt. And with Forsaken's Gambit incoming, we'll be there for the best of both end game worlds too. Then post your greatest moments in our Library. Several Destiny players immerse themselves in the world of Destiny and My name is Byf is arguably one of the most renowned Lore Masters providing streaming content. His YouTube channel is full of Destiny theories and lore telling and he also offers content on Warframe and the incoming Bioware creation, Anthem. If you prefer a more library like experience, then quite literally the Ishtar Collective is the place to navigate to. 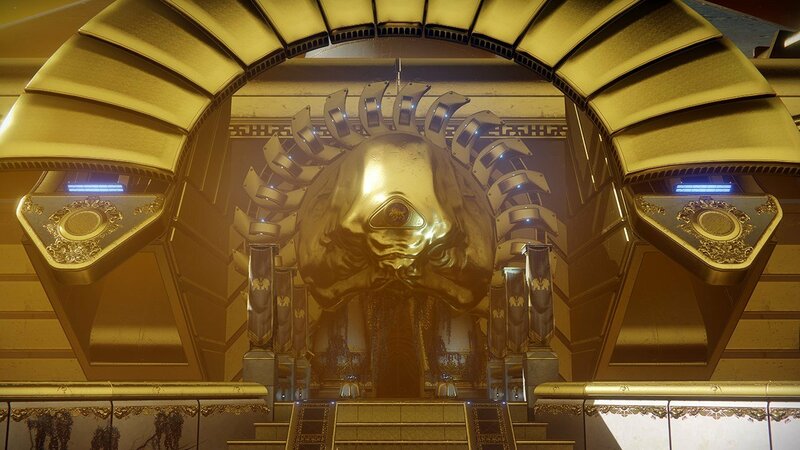 A wonderfully put together website, you can cruise the entire Grimoire from the Last Word and the legend of Jaren Ward and the infamous Dredgen Yor, to the Hive's Books of Sorrow. Heard of DIM? If you haven't you're missing out on loadout management and 'on-the-fly' weapon and armour moving from character to character or pick crucial kit out of the vault before landing planetside. Destiny Item Manager is a web source and also a Chrome Extension. While Update 2.0.0. and Forsaken arrives there's new mechanics and bi-weekly resets to regard. Watch this space for updates more in tune with the in-game changes. You will face daily challenges usually specific to Class, special abilities and kill types. For purchase from Lord Shaxx. 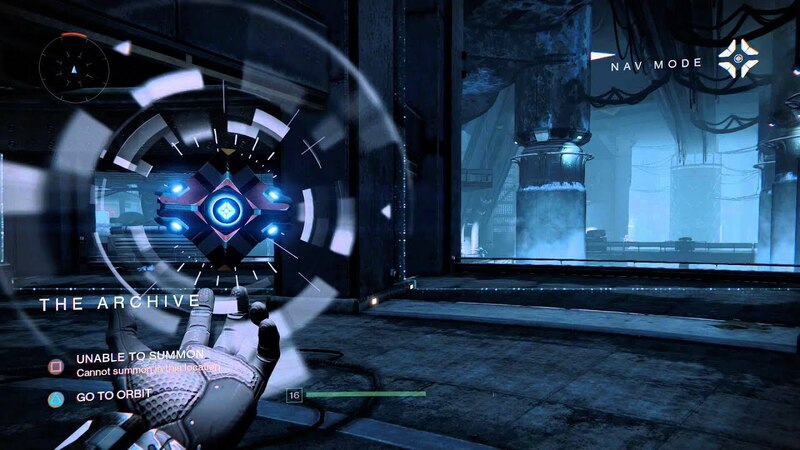 • Players must complete the Call to Arms Milestone at least once to be granted access to the Trials of the Nine. • Fireteam Medallions can increase players' Crucible rewards while they complete the Call to Arms weekly Milestone. • Everyone has their own style - including dying repeatedly. Generally the current meta however, is Graviton Lance (especially with its completed catalyst) a solid hand cannon of your preference and Fusion rifles. Crimson is also used often, if your exotic of choice is kinetic. • Seriously? Just run and gun. 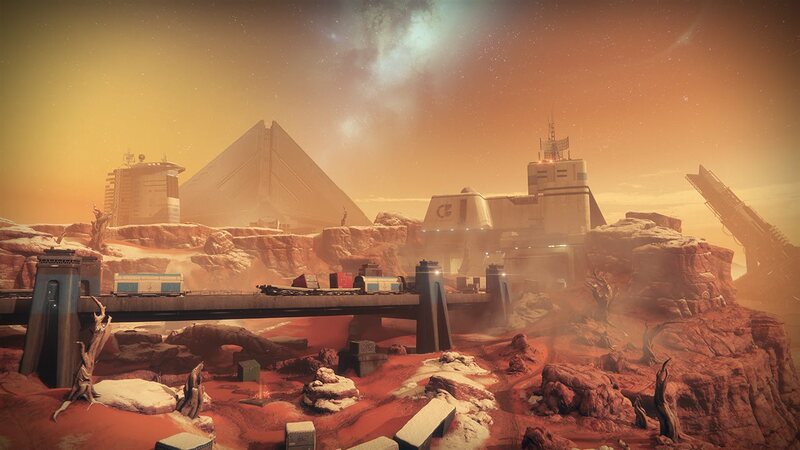 • Flashpoints are featured destinations where players can earn extra loot by participating in Public Events. • Especially when levelling up, use Ghosts that provide extra faction rewards or extra rewards for Public Events. Every little helps. While Update 2.0.0. and Forsaken arrives there's new mechanics and bi-weekly resets to regard. Watch this space for updates more in tune with the in-game changes, and of course the new Dreaming City raid. • Specific raid strategies will be detailed soon. Every week the Bungie crew leave us an update on current affairs and work being done to the game in their TWAB. We'll endeavour to short cut to it here and provide some useful bullet points for your perusal! • This week of course, is all the new Raid, The Last Wish and the raid trailer is here! • Otherwise it's all abput the Raid and world's first rewards. We now know that caln Gladd made it through first after a staggering 19 hours of trial and error! • As well as the raid details there's also some updates on the forthcoming Iron Banner week. • And finallly there some really cool, gorgeous art work covering The Dreaming City from Bungie's artists. Find a listing of the best Destiny 2 Trailers. Note, the site won't let us embed YouTube videos, all links are external. • neilly_ is devastated to find his herd of unicorns is no more. He is currently consoling himself with pretty colours in our Discord Channel. • Arterialbleed is our new Sherpa, despite saying he never wants to be Sherpa nor ever wanting to be a Sherpa in the first place. Contratulations Art! Please don’t be shy. Join or create a game session. You’ll find that we are very easy going and there to help you. Be respectful to your team and group/clan members. Make sure your name on the100 is the same as your PSN gamertag. If not say so in the comments or better yet change it in your profile. Not sure about the mechanics? Ask and we’ll help you through. Most of us have jobs and families, so plan ahead and create your sessions one or two days in advance. Use the Details box to clearly describe what you want to do and expect. Start sending PSN chat invites five minutes before game time. Be ready for the game about five minutes before game time. On the reserve list? Don’t leave just yet and wait for about ten minutes after game time. It takes some time to invite everyone and you just might get an invite being the fourth reserve. IB bounties , triumphs & double valor. All welcome, no pressure for wins. Friday night Gambit. Bring beer. A few games of Prime and some regular, or whichever the team prefers. Another NF run x 3. Can do 100K if you want, if not just for the clears and catalyst chance. All players and skill levels welcome! 3x no pressure run for the drops.